“Living at Nature’s Edge!” With Mahon Park as its backdrop and just minutes from Carson Graham Secondary and Westview Elementary School. Right at Larson Road and Carson Crescent in the Hamilton area of Westview, nestled amidst the North Shore Mountains. 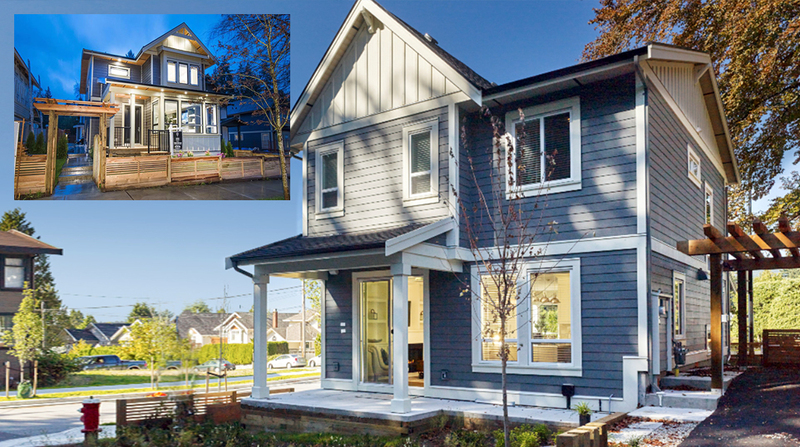 A collection of 12 stunningly appointed “Westcoast” inspired single-family homes built by Georgie Award winner Symphony Homes Limited. The Energy Star rated homes are centrally located at Larson Road & West 20th Street. Nestled amongst the Northshore mountains. These beautiful & spacious 4 bdrm, 4 bath homes feature fully finished basements and premier high end finishes. All the homes are completed to built green “Gold” standards which incorporate environmentally friendly materials into construction and offers home energy-saving features that reduce costs & the environmental footprint.